Leadership Briefs challenges leadership practitioners to: (1) Shape an organizational culture that accelerates the development of emerging leaders who will be needed for business expansion and succession planning, and (2) Stretch the leadership capacity of existing leaders by identifying competencies needed in current roles to more effectively achieve anticipated outcomes. The strategic challenge is to identify the competencies that uniquely define the leadership profile of the organization and assess leaders against that profile. The Assess, Learn, and Grow model articulates the pathway to move from vision to reality. 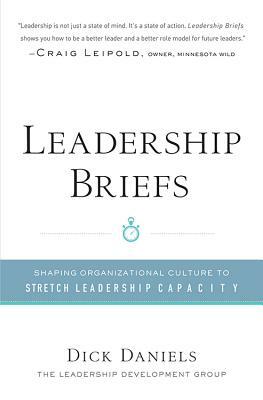 Leadership Briefs is written for the sustaining leader who is looking for practical insight and applicable solutions that can be immediately implemented to solve these leadership challenges.